On minimal CentOS 6.4 installation, wget, man and telnet command utilities does not install automatically. Wget is a free network utility for linux to download files from the Web. Man is used to display the manual page for other command and also will help you to explain the functions for the commands that commonly used. The term “man” is short for manual. Telnet is a network protocol used on the Internet or local area networks. Telnet is a user command and an underlying TCP/IP protocol for accessing remote computers and very useful for troubleshooting and verify the opened ports. You will get the following warning when you use wget, man and telnet on minimal CentOS 6.4 installation. Zimbra Collaboration Suite (ZCS) is a groupware product created by Zimbra, Inc. Zimbra email is one of the popular open source email in the world. This post describes the step on how to upgrade existing ZCS 8.0.2 to ZCS 8.0.3 on CentOS 6.4 64 bit. There are new features and enhancements in the ZCS 8.0.3 Open Source release. It’s good to review the known issues that had been fixed before installing or upgrading. 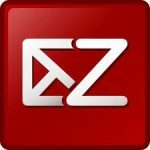 -The zmmailbox and zmsoap CLI now correctly resolve the mail store port when mail store and proxy are installed on the same host. -The login page has been changed to state “Stay signed in” instead of “Remember me”. -Fixed issued causing LDAP search performance with a large number of domains to be degraded. -Restoring a TGZ file no longer deletes messages when merging conversations. -The proxy no longer retries HTTP POST requests. This previously caused unnecessary load on the mail store. -Optimized the locking of the Provisioning object. -The zmprov gaa CLI previously used paged results when querying LDAP which caused suboptimal performance. -Fixed issue causing race condition when mail is received/threading conversation while emptying trash. Release 8.0.2_GA_5569.RHEL6_64_20121210115059 CentOS6_64 FOSS edition. ZCS upgrade from 8.0.2 to 8.0.3 will be performed. than the platform for which they were built. This may or may not work. options may be limited if you choose to continue. Updating global config and COS's with attributes introduced after 8.0.2_GA...done. Creating server entry for centos64.ehowstuff.local...already exists. Setting service ports on centos64.ehowstuff.local...done. Adding centos64.ehowstuff.local to zimbraMailHostPool in default COS...done. Release 8.0.3_GA_5664.RHEL6_64_20130305090204 CentOS6_64 FOSS edition. Zimbra Collaboration Suite (ZCS) is a groupware product created by Zimbra, Inc. Zimbra email is one of the popular open source email in the world. Before we start installing ZCS email software, please make sure that all the prerequisites has been configured and installed. This post will describe the steps to setup Zimbra Collaboration Suite (ZCS) 8.0.3 Mail Server open source edition on CentOS 6.4 64 bit. ZCS 8.0.3 only released the 64 bit version for Redhat Linux Enteprise 6 (RHEL6) or CentOS 6 operating system. example.local mail is handled by 10 mail.example.local. Creating server entry for mail.example.local...done. Setting service ports on mail.example.local...done. Adding mail.example.local to zimbraMailHostPool in default COS...done. This post will show the prerequisites setup before we enter to actual Zimbra Collaboration Suite (ZCS)installation. Zimbra Collaboration Suite (ZCS) is a groupware product created by Zimbra, Inc., located in Palo Alto, California, USA This post consist summary of the configuration and has been tested on CentOS 6.4 64 bit. 2. Configure /etc/hosts and hostname. 3. Disable iptables or configure iptables with zimbra ports. This article will explain the steps to install and configure the DNS Server chroot binding on CentOS 6.4 virtual private server (VPS) or dedicated server. Usually if you plan to install email server or your own web server, it is good to have your own domain name service (DNS), so that you will have full control of the domain and subdomain. BIND (the Berkeley Internet Name Domain) also known as NAMED is the most widely used DNS server in the internet. Bind DNS helps to resolve domain name to ip address and ip address to domain name. Beside having full control of our registered domain name, it will also help to improve the speed of domain lookups. All these steps has been tested on CentOS 6.4 64 bit. When you run BIND in a chroot jail, the process is simply unable to see any part of the filesystem outside the jail. As an example, i will setting up BIND to run chrooted to the directory /var/named/chroot/. Well, to BIND, the contents of this directory will appear to be /, the root directory. A “jail” is a software mechanism for limiting the ability of a process to access resources outside a very limited area, and it’s purposely to enhance the security. Bind Chroot DNS server was by default configured to /var/named/chroot. 8. Create Forward and Reverse zone files for domain ehowstuff.local. ehowstuff.local. 2592000 IN      NS      ns1.ehowstuff.local. ehowstuff.local. 2592000 IN      NS      ns2.ehowstuff.local. When you run one or more of any type of Web, DNS, Email, FTP or any other application server’s directly on your site, then you are require Static IP address. If you run a website hosting in Virtual Private Server (VPS), end user will types the domain name (e.g www.example.com) into their web browser it is translated via a DNS service to a specific IP address of your web server. Rules of thumb, any type of server is mandatory to have static IP Address because it is constant, otherwise the end user or the websites visitors will experience inaccessible website. This post will share how to setup Static IP Address on CentOS 6.4. This post will show how you can update CentOS 6.4 system with ‘yum‘ command. You should update the linux to newer release or latest linux kernal because you will get security fixes, stability improvements, updated device drivers, get new kernel functions and to increased speed of the linux operating system. After get all above benefits, it’s very worthwhile to update your kernel for Linux often as soon as new update released. Now let’s take a look at the most common linux command that we can use for updating linux system. This steps has been tested on CentOS 6.4. There are four easy steps to disable Security-Enhanced Linux (SELinux) on CentOS 6.4. The steps was very simple, but if we did not disable this feature, you may hit a problem when try to do software installation. SELinux checking for allowed operations after standard Linux discretionary access controls are checked. Follow below steps to disable SELinux on CentOS 6.4. 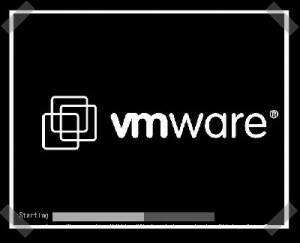 This post provides steps to install VMware Tools in CentOS 6.4. It is very important to install VMware Tools in the guest operating system. Without the VMware Tools, guest OS performance will lacks some of the important functionality. VMware Tools is a group of utilities that enhances the overall performance of the virtual machine’s guest operating system (OS) and improves management of the virtual machine (VM). This is one of important components in order to provide perfect VM OS. 1. Choose your VM –> Click “Install VMware Tools” from the VMware Workstation menu, VMware Workstation temporarily connects the virtual machine’s first virtual CD-ROM drive to the ISO image file that contains the VMware Tools installer for your guest operating system and you are ready to begin the installation process. CentOS 6.4 has been released 9th March 2013. 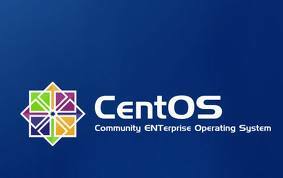 As we know, CentOS is an Enterprise-class Linux Distribution derived from sources freely provided to the public. It has 100% binary compatibility with its upstream source, Red Hat Enterprise Linux (RHEL).